To my Satan....I have received your gifts. I will open them after Christmas, when I am back home. It was very funny having to explain to my mother why I received gifts from Satan. That horrible pun makes me so angry. Sagat Satan has stricken and it is good. My my it appears that @Xaquin has struck again! I received this assortment of fine spices! Though as a spice novice I must ask, do I just ground the Gran Masala together to make my own fresh Indian spice? the other little bag is szechuan peppercorns! I can now report with certainty that the cherry chocolate fudge so kindly provided to me by @Goatmon is delicious. About half of it got done in in one sitting between the wife and I and it was delightful. Thank you so much again for it! Cookies are good too, the fudge just unfortunately seriously outshines them lol. So on top of the totally rad camera drone that arrived a couple weeks ago, today a package showed up at the door filled with gifts! 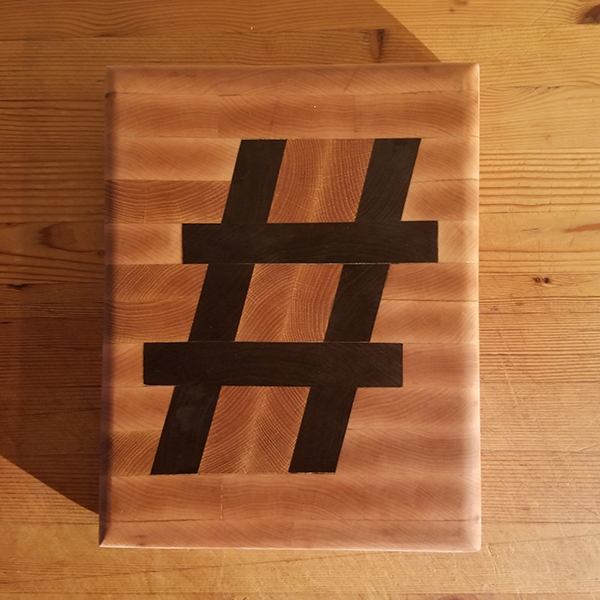 There was a lovely card from my Satan @JimBobtheMonkey wishing my family a happy holidays and telling me the final gift in this box was handmade, and the first one of these he'd made! How exciting! More on that later. Let's check out the loot! 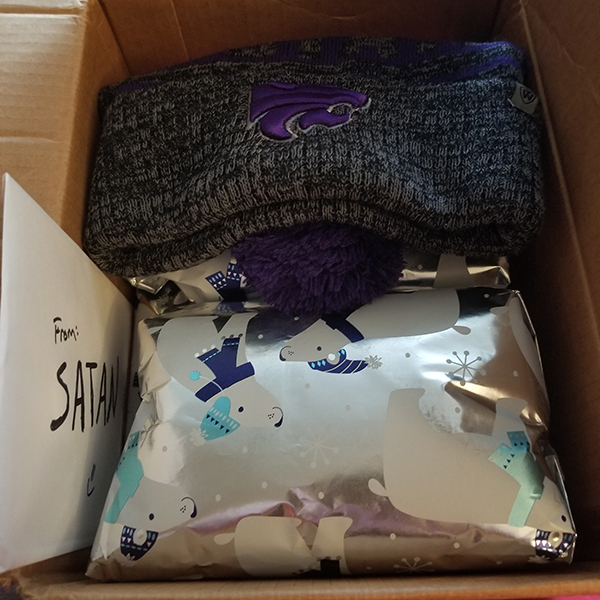 Clearly visible on top of the pile is a lovely toque (yes, toque) celebrating the Kansas State Wildcats! This is great! 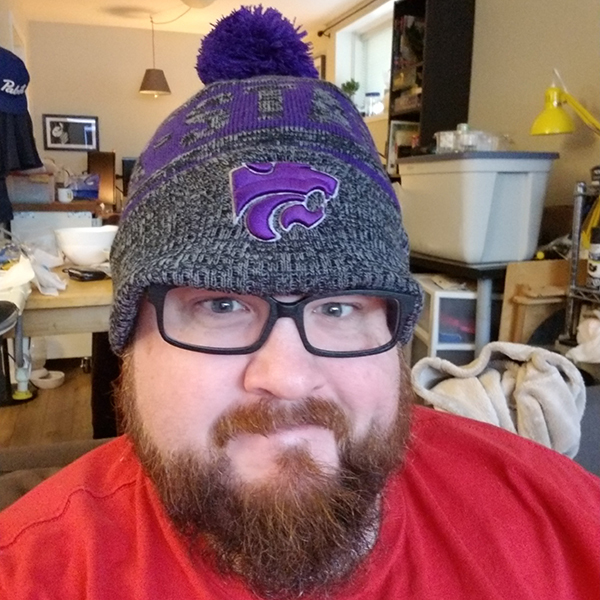 I've literally been meaning to buy a nice toque for ages because the only ones I have are thin, cheap, beer company giveaways from when I worked for a bar. This one is lovely and soft and warm and big enough for my head! 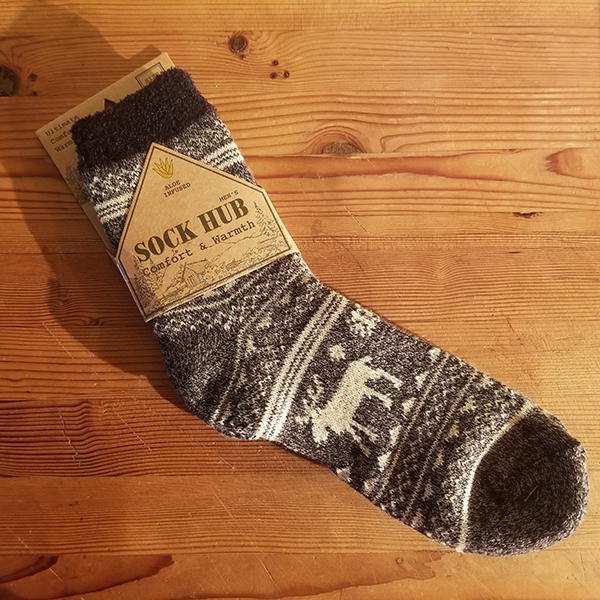 The second package contained a deliciously soft pair of socks! These are never gonna see the inside of shoes. 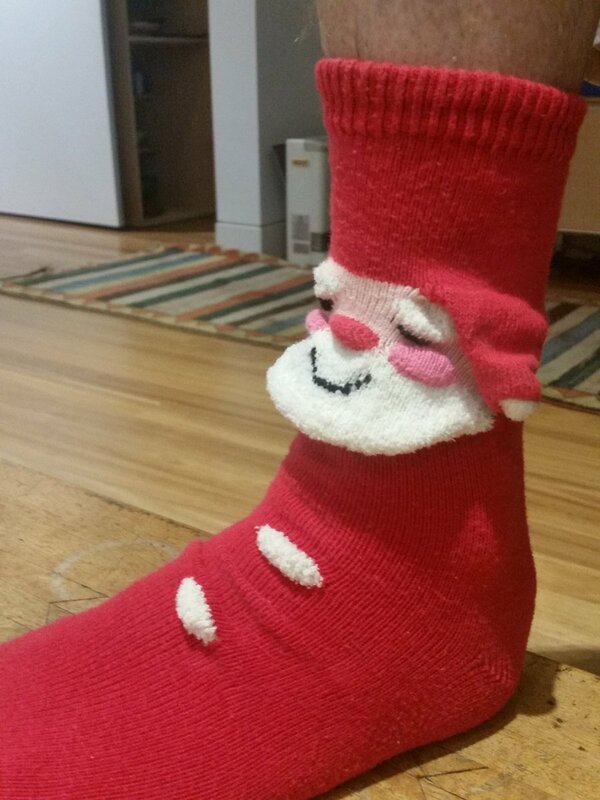 Purely cozy indoor relaxin socks these are. 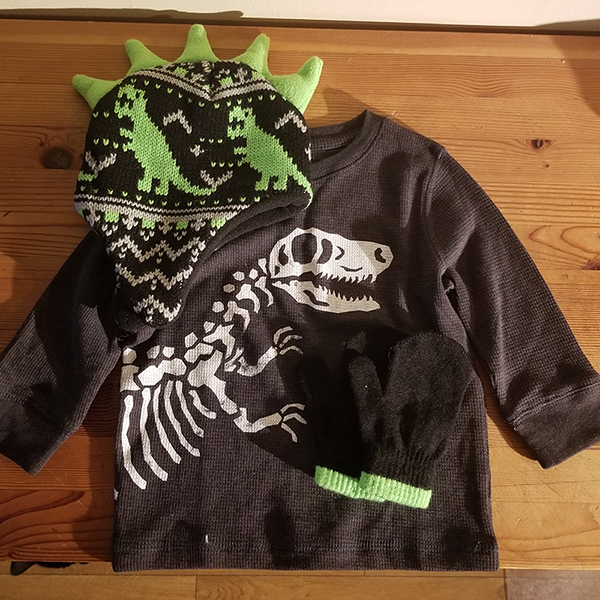 The next package contained a gift for my son! It's his first christmas so he's been getting all the gifts. 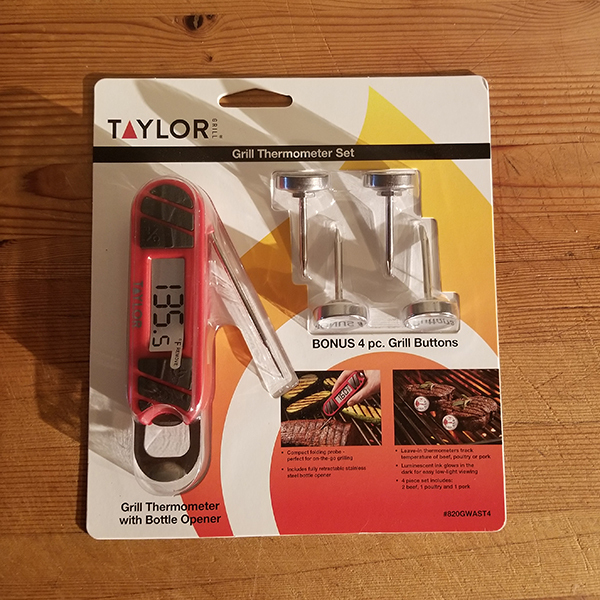 The next gift requires a little explanation since it was on my wishlist. 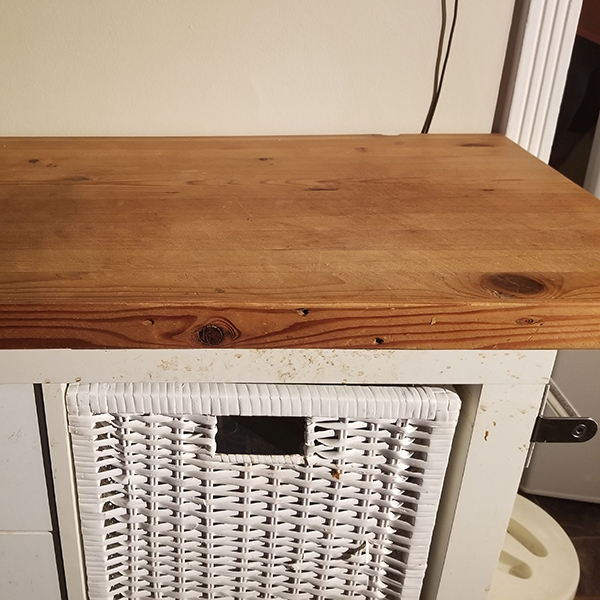 See our last apartment had a weird kitchen with absolutely zero functional counterspace, so I decided to build a little kitchen island out of an ikea bookshelf. As the top I got a slab of 2 inch-thick pine made to size out of laminated 2x2s at a local woodshop. Pine is soft, though, so after a year of use it's pretty abused and I've been planning on resurfacing it by planing it and sanding it. But since we started using it I've been using a simple foodsafe finish I made myself out of beeswax and mineral oil. 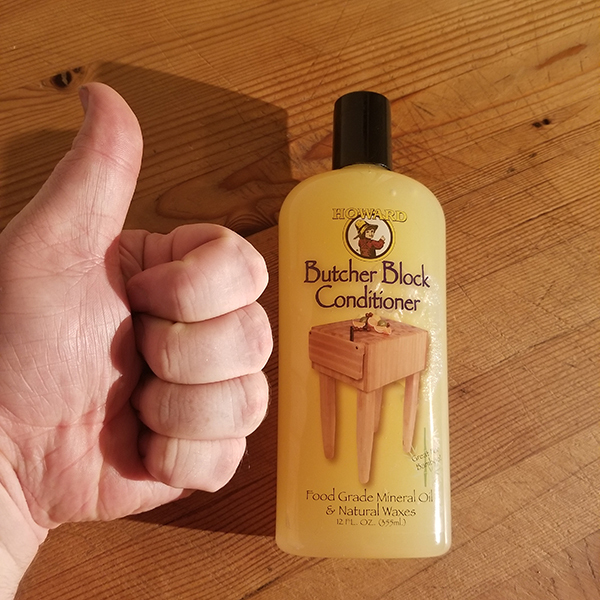 So on my wishlist I put a bottle of the legit butcher block finish so I could condition it right after resurfacing to protect it a bit better. A bottle of the finish was in the box from Satan! This aint no pine, folks. End grain hardwood with lots of little cuts jigsawed together. It's really lovely work. The finish is especially beautiful, it's as smooth as stainless steel. I think we will keep this to use as a cheeseboard or something, to serve and show it off. I'm overwhelmed! 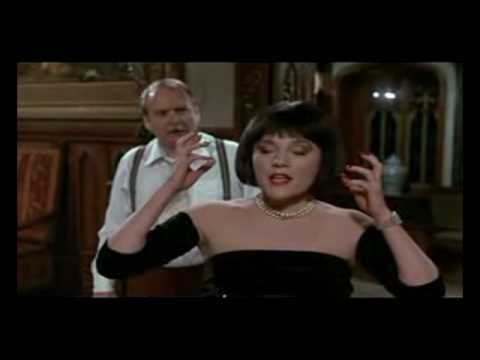 I was whelmed, and then I just got too damn whelmed! This is so generous and thoughtful. Thank you Jimbob! 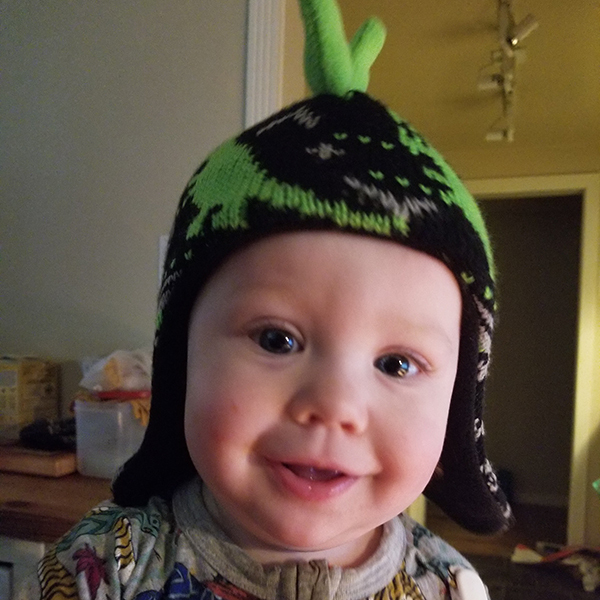 The baby is OK too. 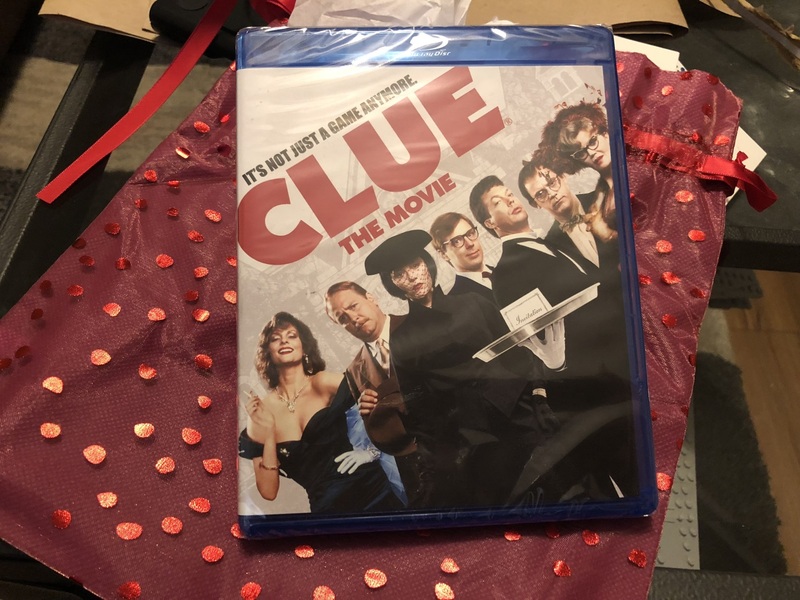 I forgot it because as soon as I took it out of its wrapping, my wife said "NICE" and claimed it for her own. This is also great, thank you! 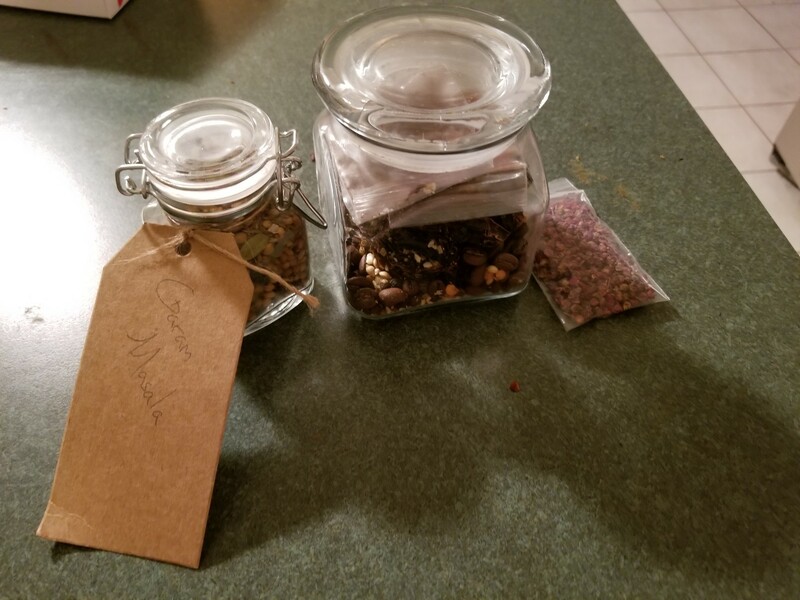 @Tofystedeth your final package arrived! I’ve never heard of this series, but it looks good. I’ll crack into it soon! My Satan @KetBra delivered today! 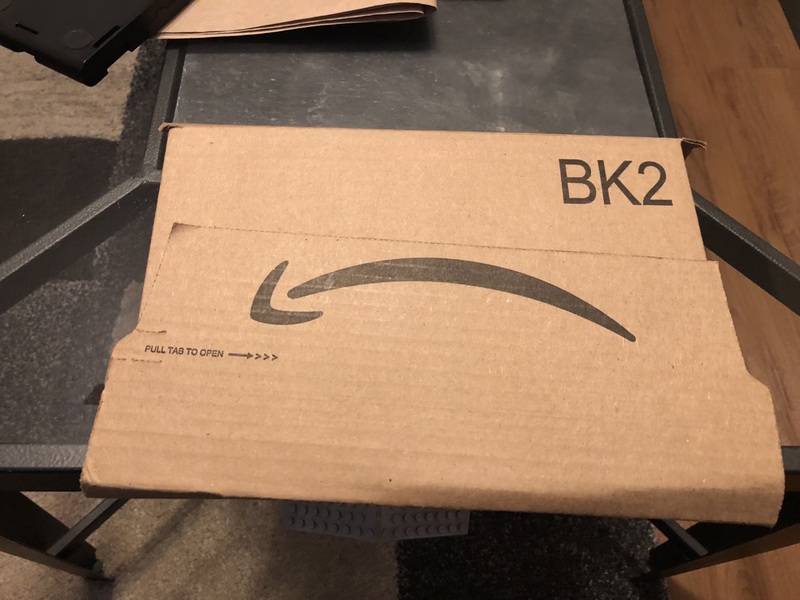 Upon opening the box, I uncovered this lovely wrapped package. 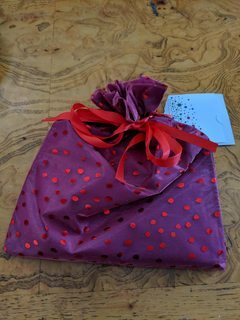 It included a note saying this is the first gift, with a package of local items to come later! 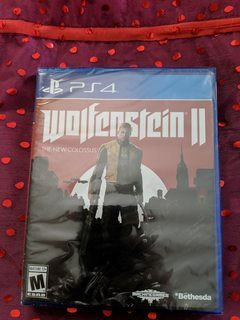 Inside was Wolfenstein 2! This was on my wishlist and I am excited to load it up. To my target: Don’t worry. I had to go farther from where I live before I was able to find an appropriate gift, but it’s on the way. Hey, has anyone been keeping up on chains for this? I haven't been able to dedicate as much time to Satans this year, so I've probably missed a few giftings. Mine was a Sagat Satan gift and I don't think he's my real Satan? 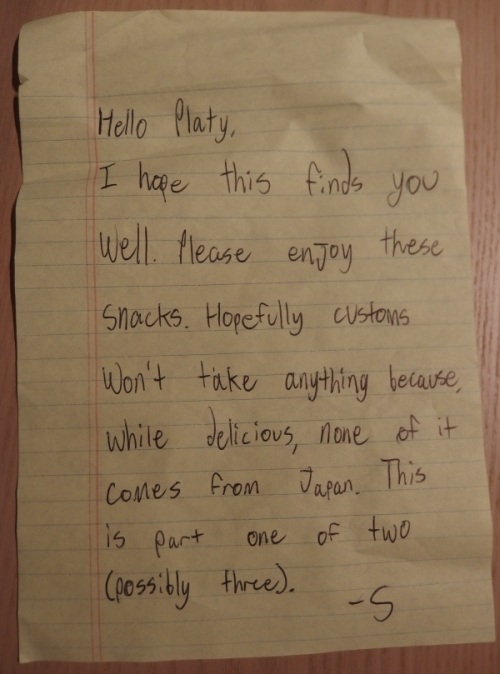 Finally sent something with a note attached. We'll see how it all is when it arrives. 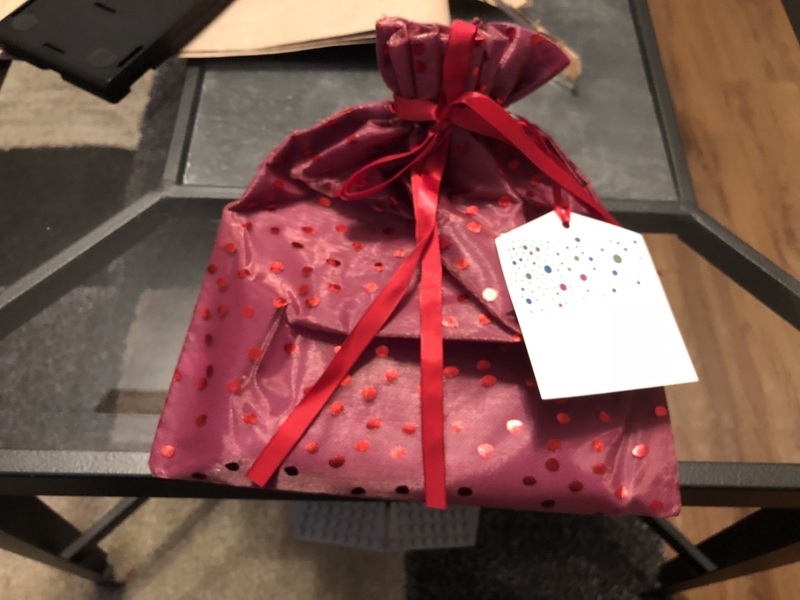 Glad you got the package! If Wolfenstein was all that was in there, there will actually be two more packages coming! I still have not sent anything. It was a busy season this year, but I have now purchased all the purchases but need to pack and send. @Slacker71 Oh whoa, that's a long time ago! Thanks for the heads up (and thank you so much for the gifts so far!). I'll check the post office to see if there has been a mix up somewhere, because I've definitely picked stuff up since then, but nothing Satanic outside of what I've posted here already. I'll let you know asap. Tofystedeth your final package arrived! I’ve never heard of this series, but it looks good. I’ll crack into it soon! Yay! Glad it all reached you. I was introduced to that series by a satan several years ago, so I'm paying it forward. i never learned how to read! 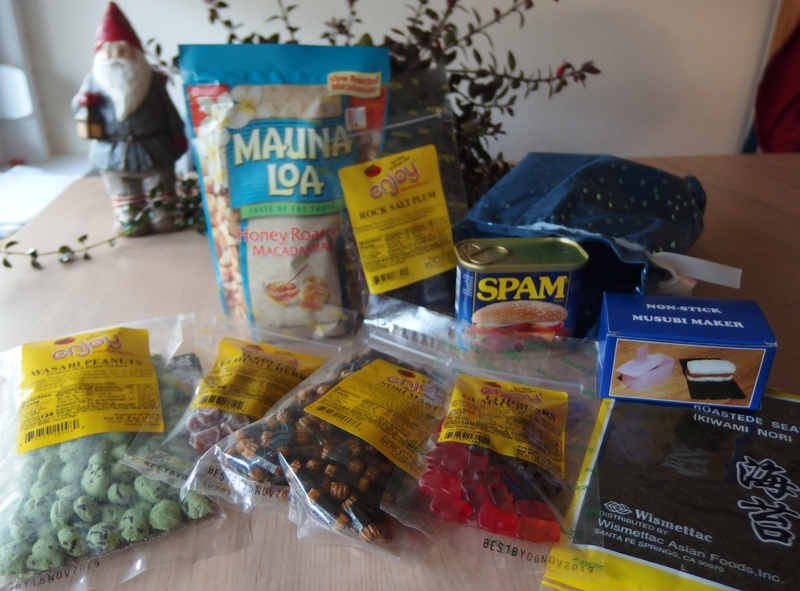 Honey roasted macadamias from the Big Island of Hawai'i and various Asian snacks: rock salt plums, wasabi peanuts, nori maki rice crackers, dried li ching cherries and li ching gummy bears. 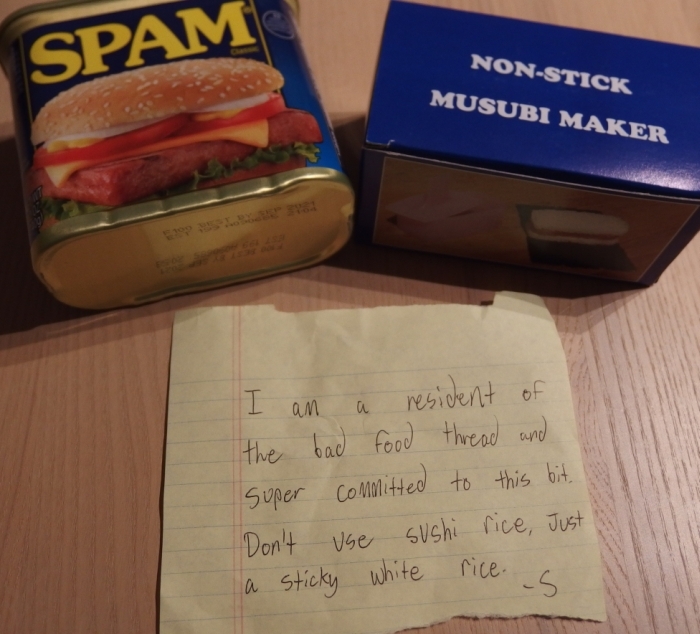 Inside the blue gift bag there were Spam and a Spam musubi maker. 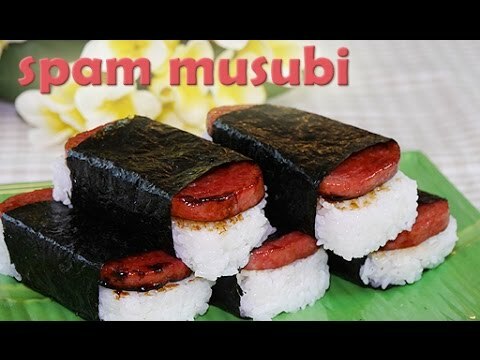 Wikipedia informs me that Spam musubi is a Hawaiian staple. Thanks, mysterious Satan! I'm going to make some Spam musubi and then post pictures and report back. Thank you very much! My family already ate half of the macadamias (they compared the rock salt plums to salty licorice though). It's not as much as I wanted to send, but enjoy! It looks like it's coming in 2 different packages on the 30th and 31st! My 2-year-old is oddly obsessed with that physics book. Reminds me of that scene from Men in Black with Tiffany. Very suspicious. After the heads-up from @Slacker71 I decided to confront my local post office and see why they have been holding my precious Satan's gifts hostage for the past month. Words were exchanged like clashing blades, denials exclaimed, evidences produced, and managers summoned. Eventually perseverance won the day and a lone package was discovered out of place. I left victorious, package in hand, my Satan's honour intact. 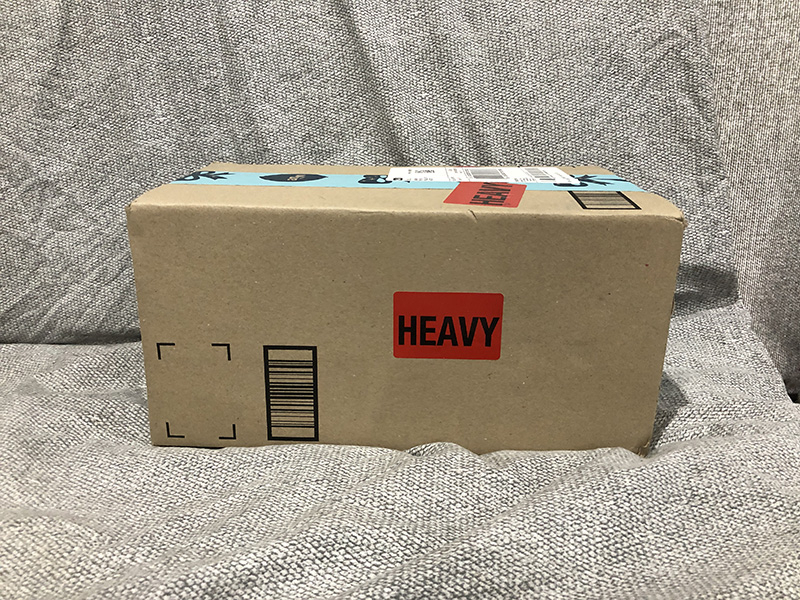 "HEAVY" marked the box. A commentary on the sacrifices involved to produce and deliver the contents to me? Possibly. Also the box weighed like a million kg. Thank you so much, @Slacker71 I've been needing a decent mortar and pestle for a while now, and this one looks classy as heck. And thank you for the pencils too! Getting decent art supplies for a reasonable price here is a fool's game, so this is a great help. The tin looks a bit bent, but I checked and the pencils are all fine. Glad you like it. 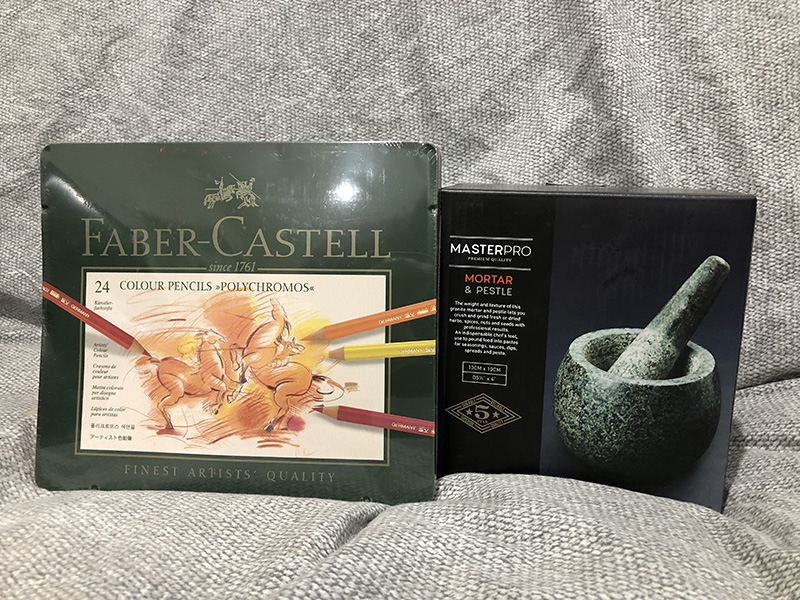 I ordered two days too early for Amazon.com to ship the mortar and pestle from your wish list to Australia, so I picked a close match from Amazon.com.au. Nullzone -> ceres and I am definitely too lazy to go through and find the two posts right now.